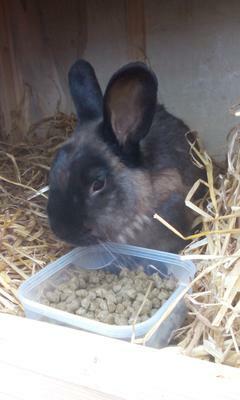 I have just got this rabbit. I am told he is male, and he is roughly 1 year old. I have no idea on its breed. If anybody could kindly help please. Hi i though i could help by telling you that i believe your rabbit is a dwarf lop or a mini lop. Hope i could help. I hope you do find out the breed because this looks exactly like my male rabbit named Sheepdog, and im trying to find out his breed since he had his first litter with his mate.